Are Women Harsher Towards Themselves? Women are harsher towards themselves compared to men. In this post, I will show you how women might be more self-critical of themselves, and steps to remedy those tendencies. Women are more prone to develop internalizing disorders like depression and anxiety compared to men. Also, women have been found multiple times to have lower self-esteem than men. This isn’t to say though that most women aren’t confident of themselves. Still, low levels of self-esteem can be a problem, since it has long been an indicator of mental health. It makes sense that women have less of it right? If you cannot see much of your worth, you tend to get depressed and anxious. Alas, the solution is not as simple as it seems. The problem with self-esteem is that it requires you to achieve some superiority over others. If you cannot meet that standard, you will fall into the self-criticism trap. You might unwittingly say, “I’m supposed to be good at this! Why am I making mistakes?” Additionally, an overemphasis on self-esteem can lead to inflation in ego and narcissism according to the psychologist Martin Seligman. Fortunately self-compassion rescues us where self-esteem fails. Self-compassion refers to our tendency to be gentle to ourselves in times of suffering. We replace the usual good-bad judgments we make on ourselves with unconditional kindness instead. We tell ourselves that it is human to suffer, and it is okay to be human. Dr. Kristin Neff, an associate professor of the University of Texas, has pioneered the research into self-compassion, and has found numerous psychological health benefits to it. How does this connect to women’s health? When you start to use compassionate self-talk instead of the usual self-criticism, you lower your symptoms of depression and anxiety. However, there is large evidence showing that women have a longer way to go compared to men. 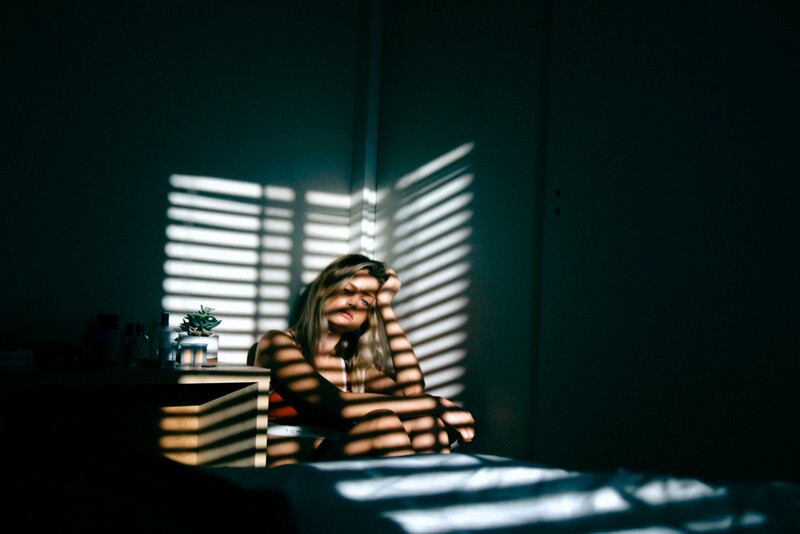 A synthesis of 71 studies by Lisa Yarnell and colleagues has revealed that women are less compassionate towards themselves in times of suffering. The difference was small, and probably invisible to the naked eye. Nonetheless, the difference in self-attitude is real. Fortunately, this does not have to be the status quo for either of the genders. You can always increase self-compassion through practice. During my time researching for my graduate thesis, I have found four simple steps you can take when you are starting to judge or punish yourself. Think of a time you are dissatisfied with yourself. Do you find yourself lacking in your job? In your relationships? You can plant the seeds of compassion there. 1. Be aware of your inner critic. The inner critic or superego is the part of yourself that never forgets to tell you how horrible, or inadequate you are. When you’re experiencing difficulty, be mindful of the dialogue that plays in your mind. Does your inner critic say you are stupid? Useless? Maybe your inner critic has the strategy of criticizing other people instead. Becoming aware of this negative voice is the first step of detaching from it. 2. Assure yourself it is okay to be human. We make ourselves feel bad because we don’t want to make more mistakes. But we sometimes forget that failing is completely human. Once you have seen your inner critic, it’s a great time to assure yourself that you are only human. This does not mean that you become complacent and become lazy. Instead, make the affirmation that to commit mistakes is to be human. It is okay to be human. Discovering that we aren’t so different from the rest of humanity might hurt our ego, but it certainly makes failure less painful. 3. Treat yourself as a best friend would. Sometimes, we are guilty of treating our friends better than we do ourselves. How do you usually treat friends during difficult times? Most likely you treat them with some form of kindness or good will. Women are more likely to engage in embracing and affection. Express this kindness to yourself through physical gestures. Some pats on the shoulder, or a prolonged hand on your chest can help encourage you in the struggles that you face. 4. Return to life a little kinder. Once you have taken the necessary steps to recover, return to life with a kinder self-dialogue. The struggles in life will not have lessened, but you will be facing it with a more encouraging ally. Yourself. I encourage you to incorporate self-compassion in your daily life. These four steps are among the many ways we can practice self-compassion. How else do you cultivate self-compassion in your life? Originally published at www.chenpsych.com on March 17, 2017.